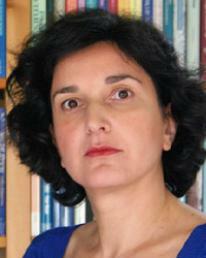 Dr. Antoaneta Dimitrova is associate professor at the Institute of Public Administration, coordinator of the Masters programme in Public Administration and academic co-coordinator of the MAXCAP consortium. Her research covers, among others, the European Union’s eastern enlargement and relations with ENP states, democratization and administrative reform, coordination of EU policy making in the Eastern member states, the implementation of EU directives, cultural heritage policy. Her most recent publications deal with the implementation of the EU’s rules in the new member states in several policy areas, the EU and Ukraine, lessons learnt from the last enlargement and cultural heritage policy. (2014) ‘Post-Accession Policy-Making in Bulgaria and Romania: Can Non-state Actors Use EU Rules to Promote Better Governance?’, Journal of Common Market Studies 52 (1): 139-156. Co-authored with A. Buzogány. (2013) ‘Shaping convergence with the EU in Foreign Policy and State Aid in Post-Orange Ukraine: Weak External Incentives, Powerful Veto Players’, Europe-Asia Studies, 65 (4): 658-681. Co-authored with R. Dragneva. (2013) ‘Living in Parallel Universes? Implementing European Movable Cultural Heritage Policy in Bulgaria’, JCMS: Journal of Common Market Studies 51: 246–263. Co-authored with B. Steunenberg. (2011) ‘Speeding up or slowing down? Lessons from the last enlargement on the dynamics of enlargement-driven reform’, South European Politics and Societies, 16 (2): 221-233. (2011) ‘The Politics of Demand for Law: The Case of Ukraine’s Company Law Reform’, European Journal of Law Reform, 12 (3/4): 297-318. (2010) ‘The new member states of the EU in the aftermath of enlargement: Do new European rules remain empty shells?’, Journal of European Public Policy, 17 (1): 137-148. (2004) (ed.) Driven to Change: The European Union's Enlargement Viewed from the East, Manchester: Manchester University Press. (2004) ‘The End of History of Enlargement or the Beginning of a New Research Agenda’ in A. Dimitrova, (ed.) Driven to Change: The European Union's Enlargement Viewed from the East, Manchester: Manchester University Press. (2002) ‘Governance by Enlargement? The case of the administrative capacity requirement in the EU’s Eastern enlargement’, West European Politics, 25 (4): 171-190. (2002) ‘Bulgaria’, in J. Dryzek and L. Holmes, Postcommunist Democratization: Political Discourses Across Thirteen Countries, Cambridge. Cambridge University Press, pp.206-223.